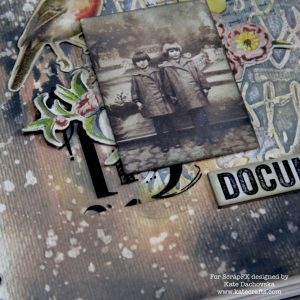 I would like to share with you two different projects. 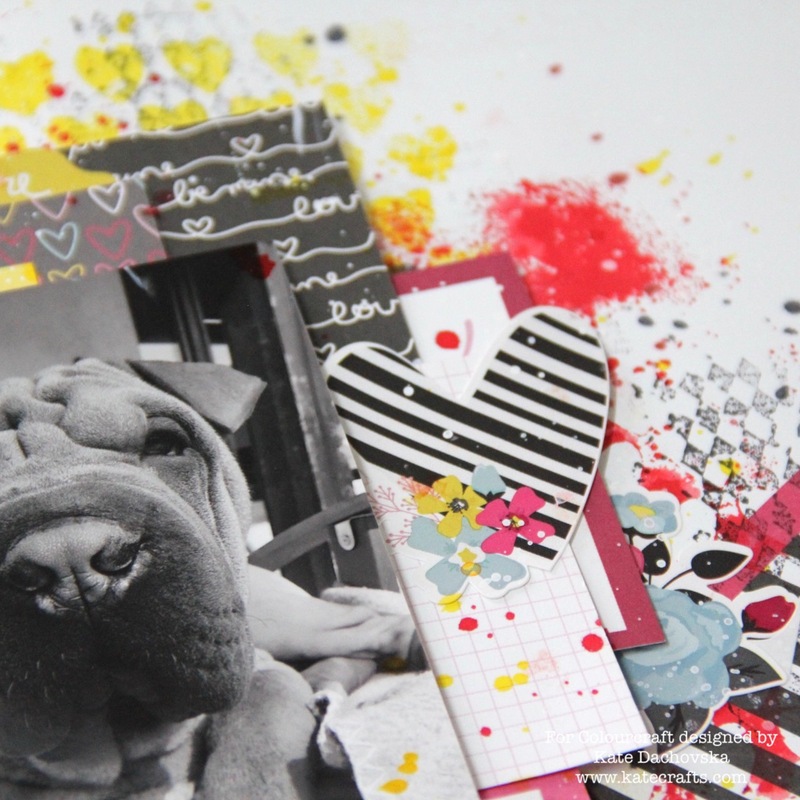 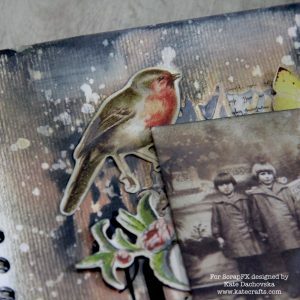 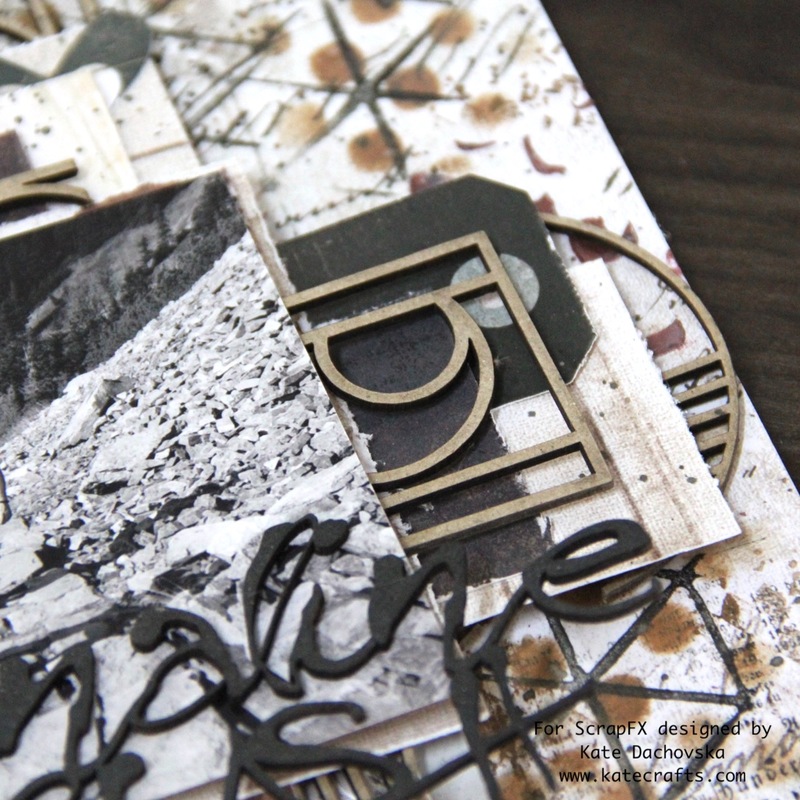 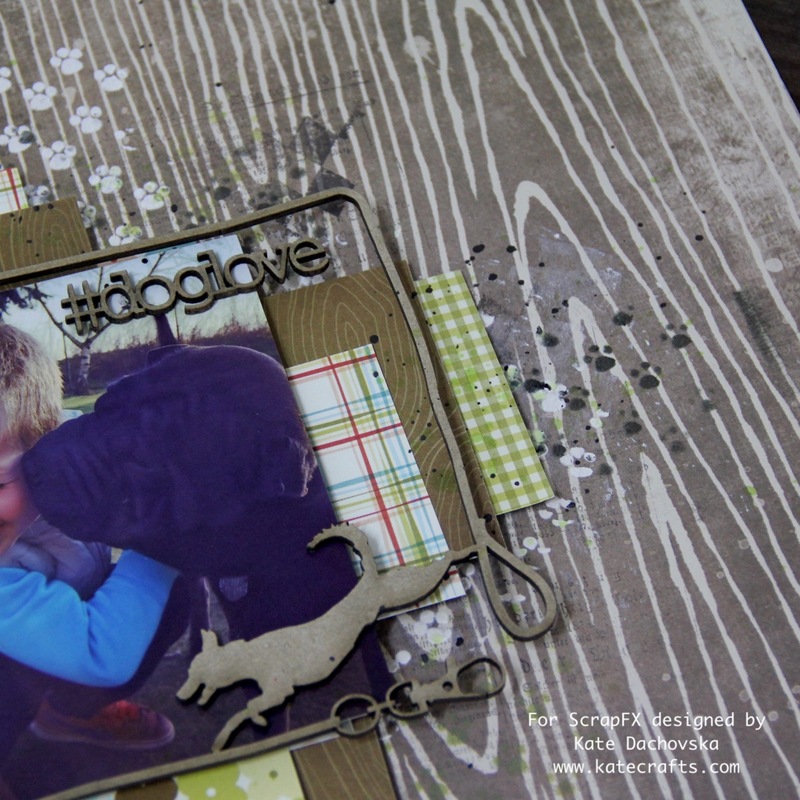 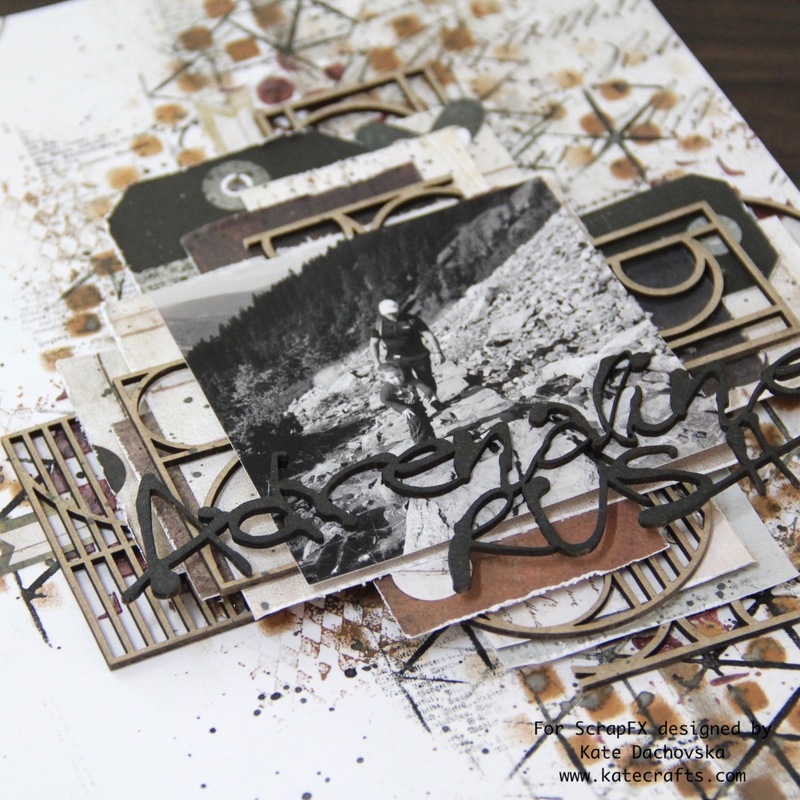 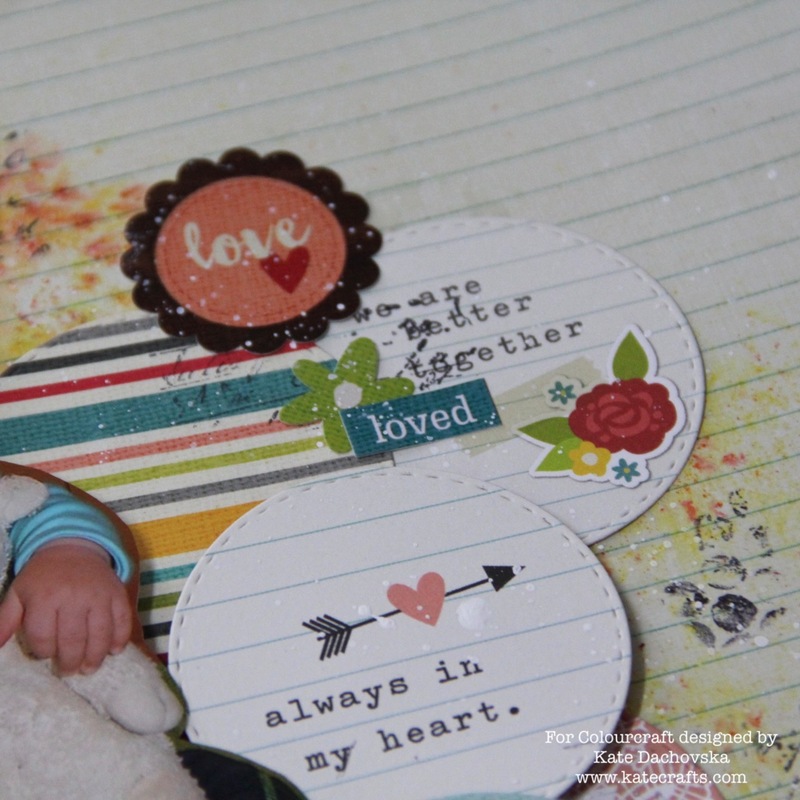 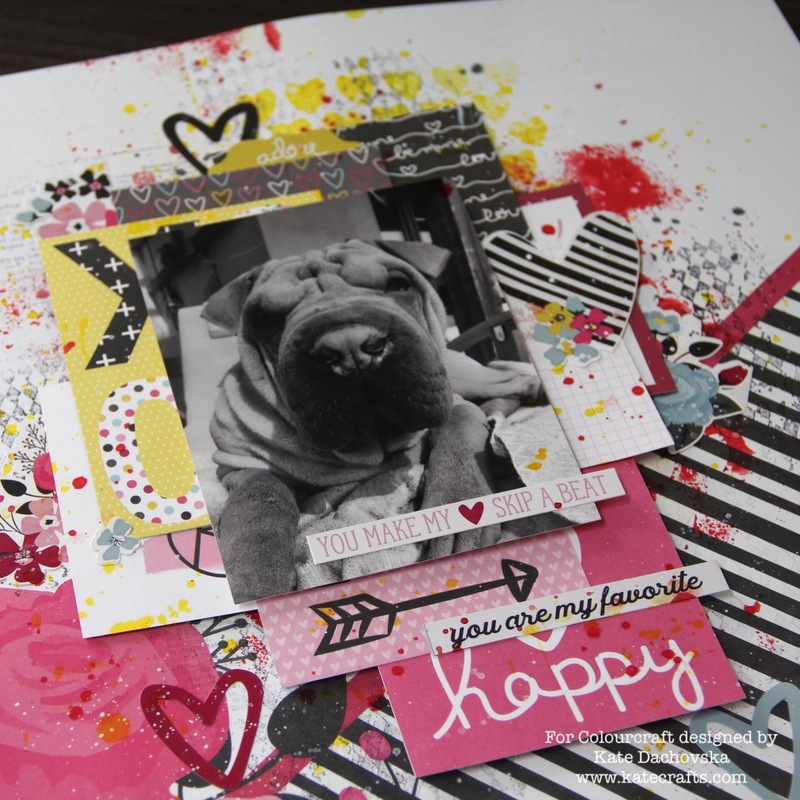 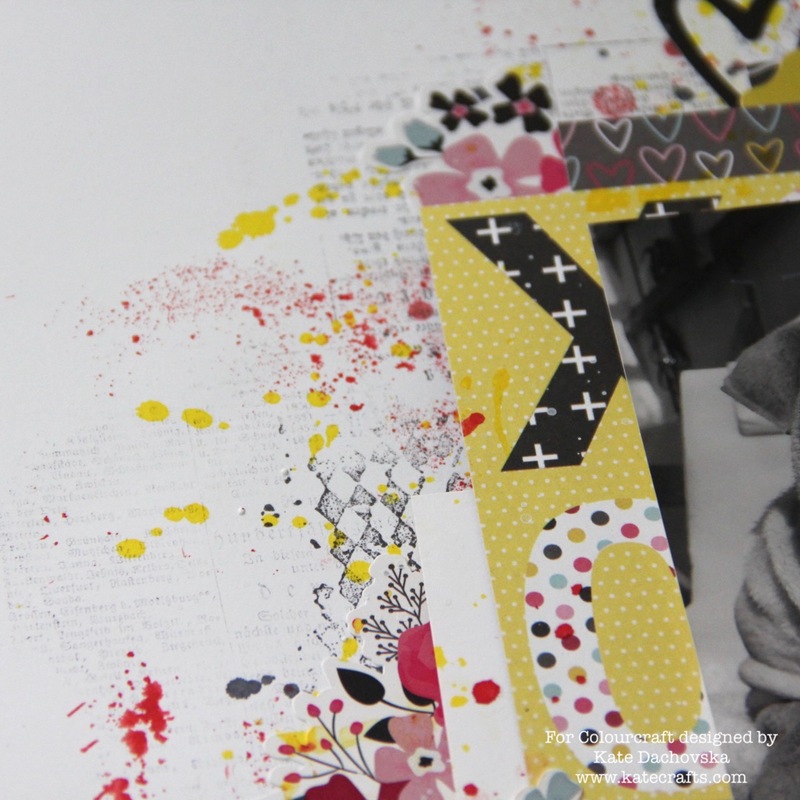 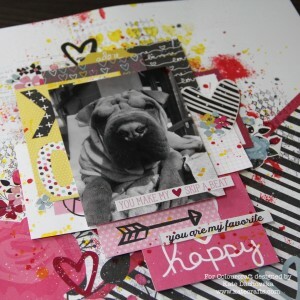 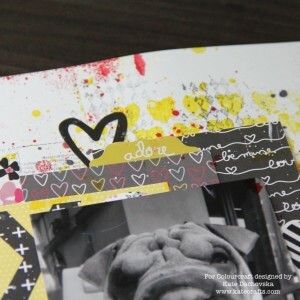 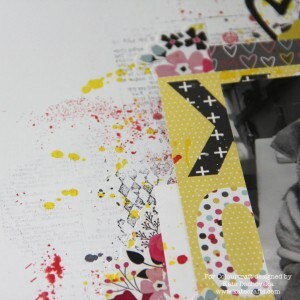 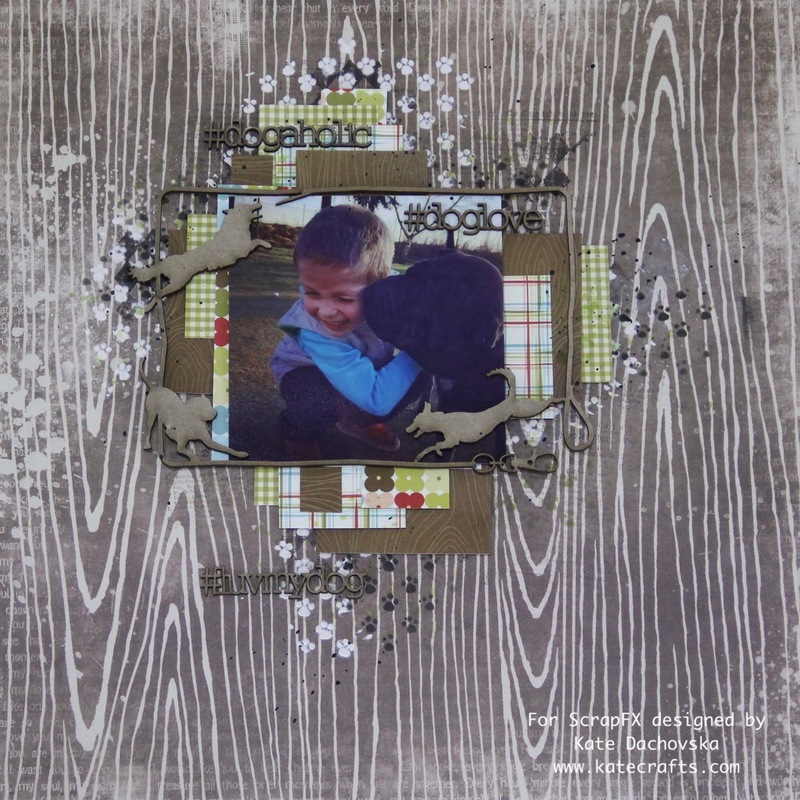 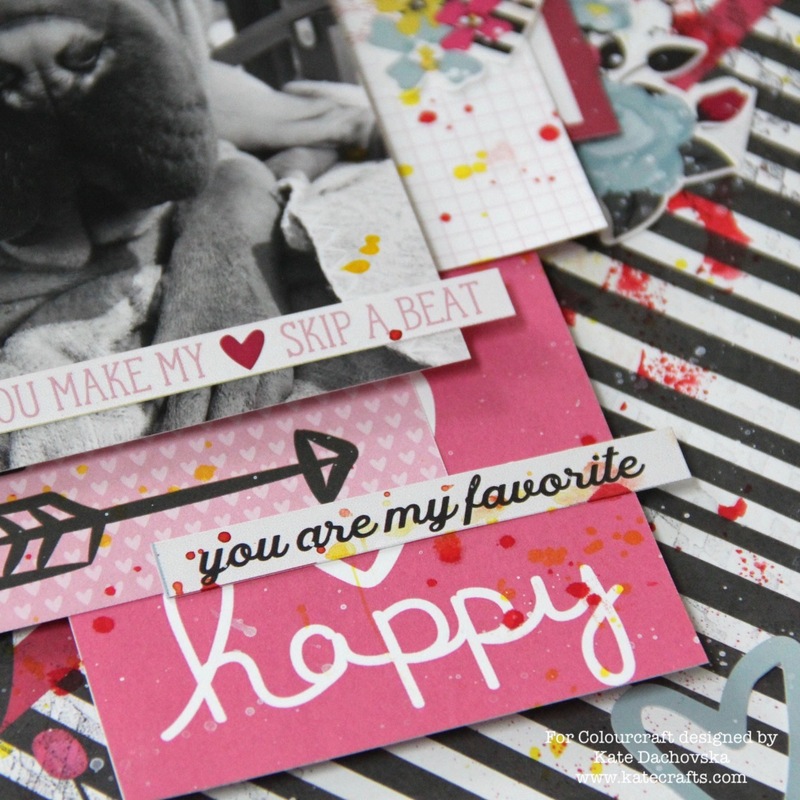 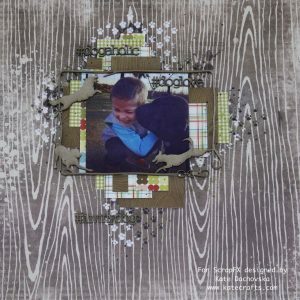 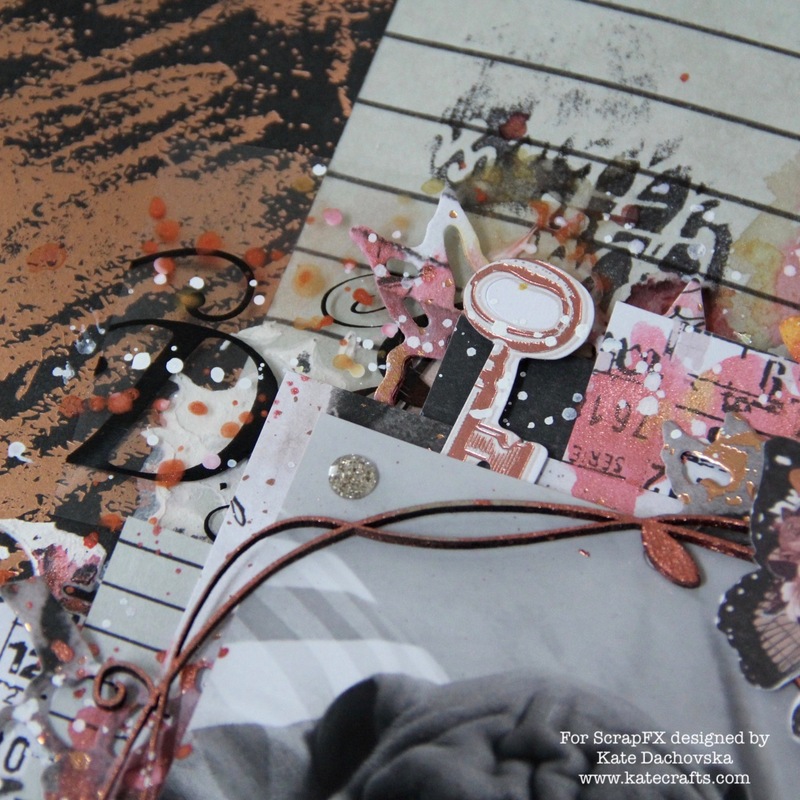 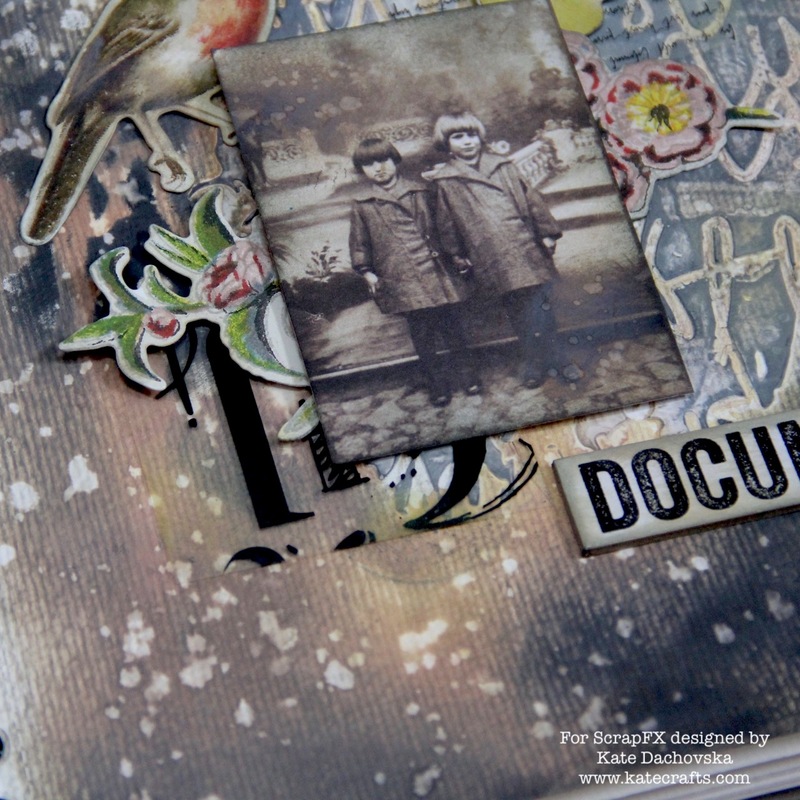 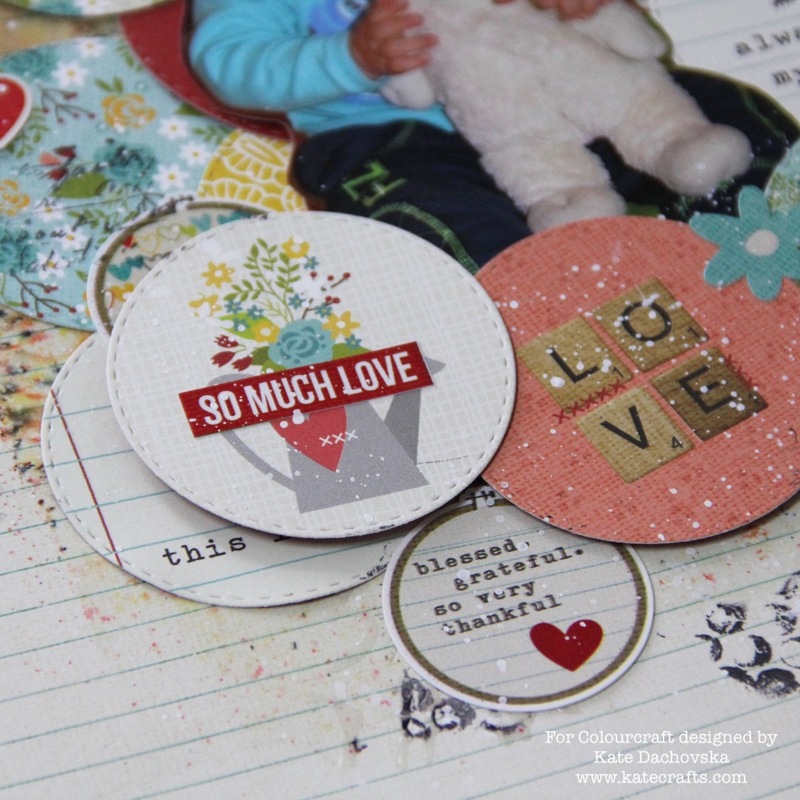 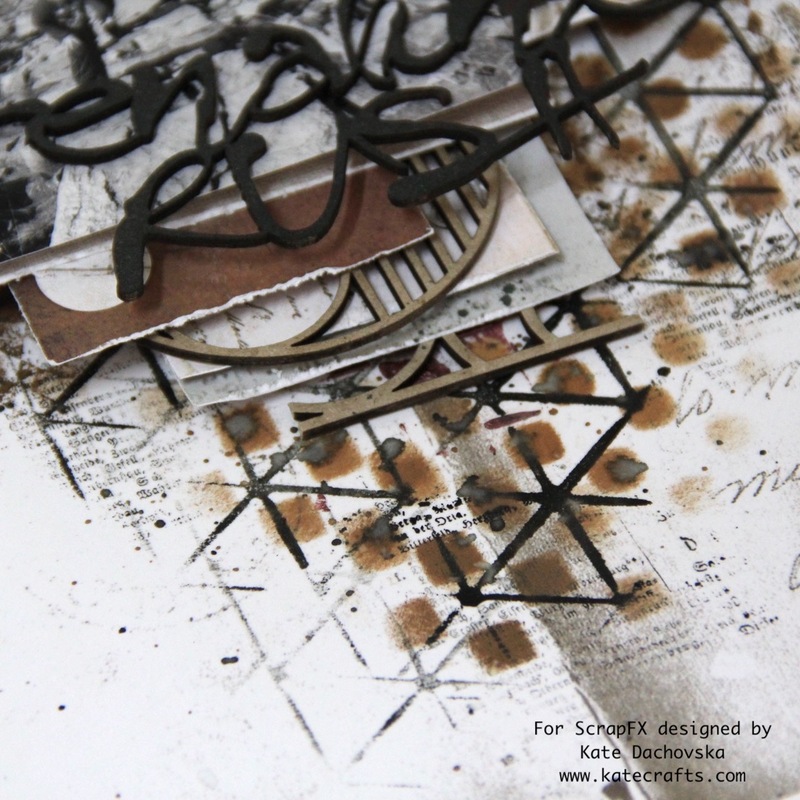 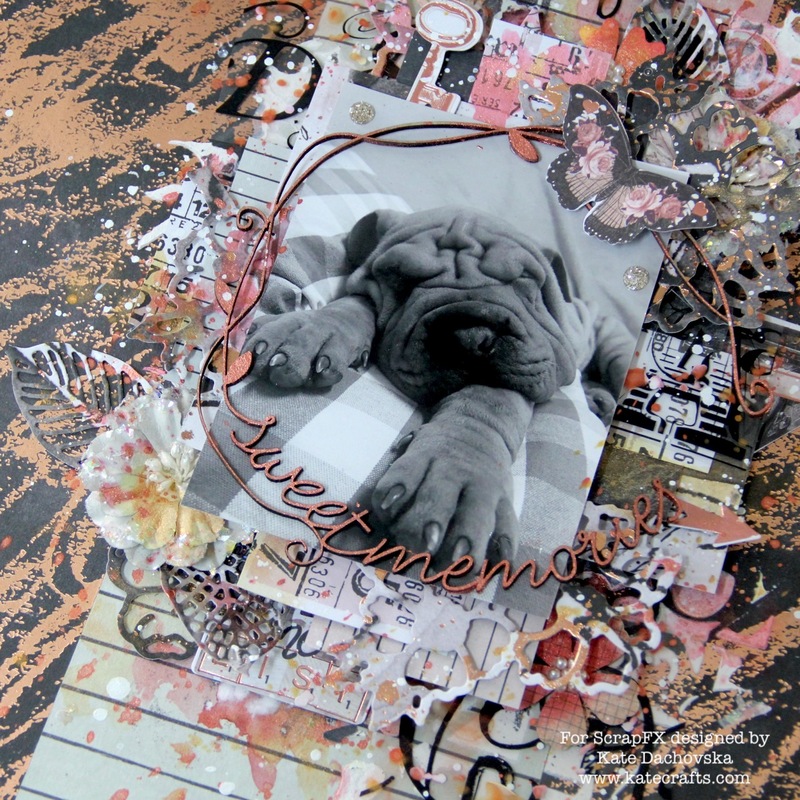 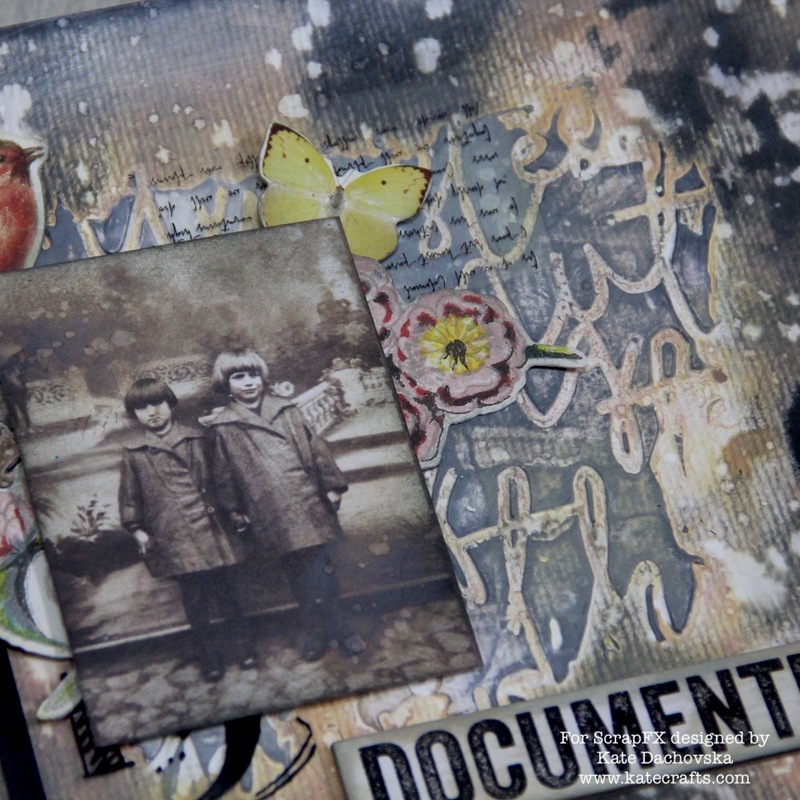 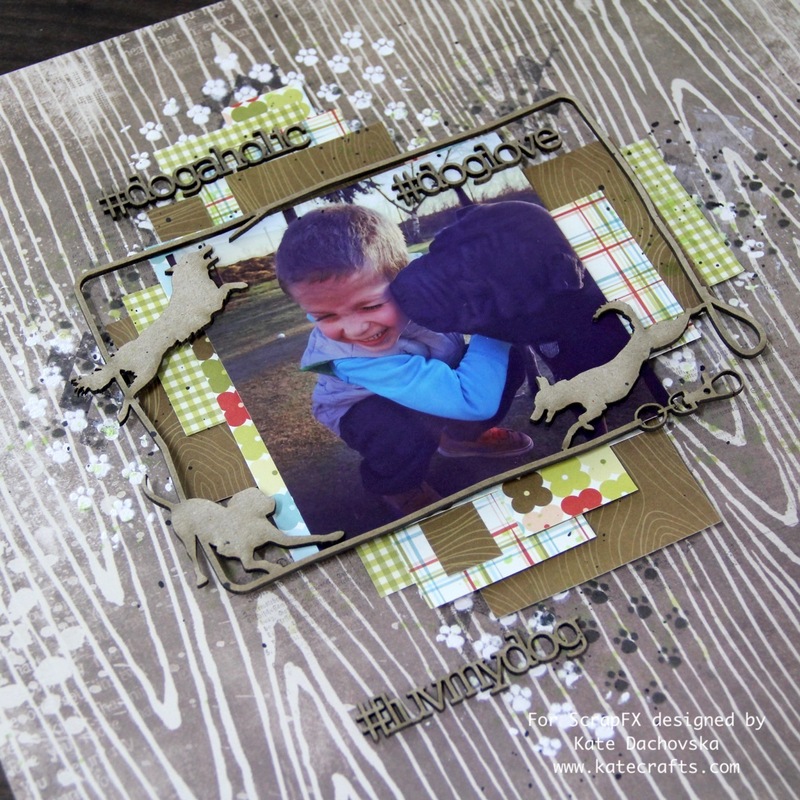 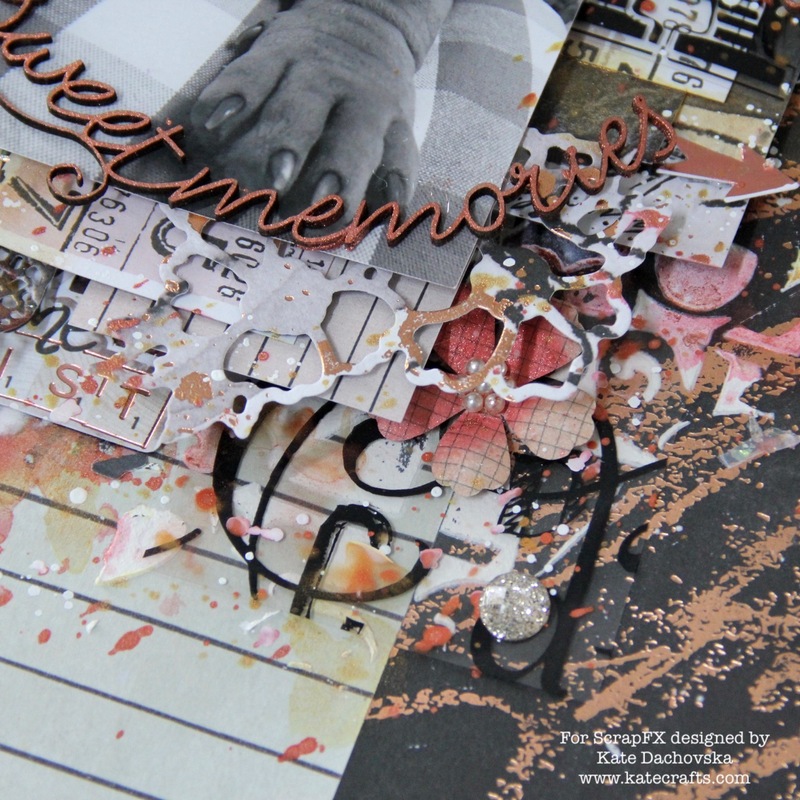 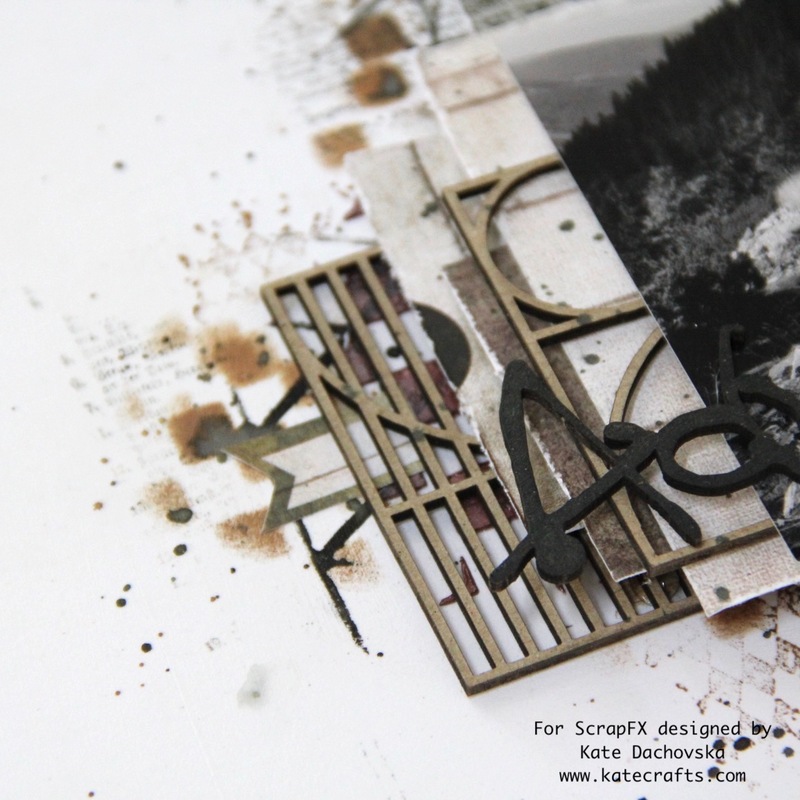 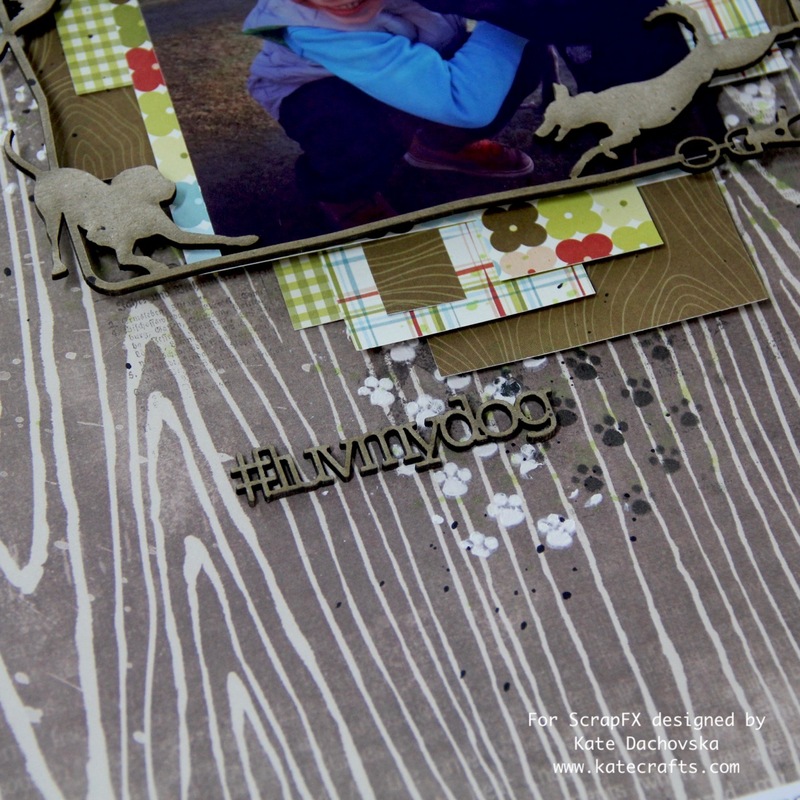 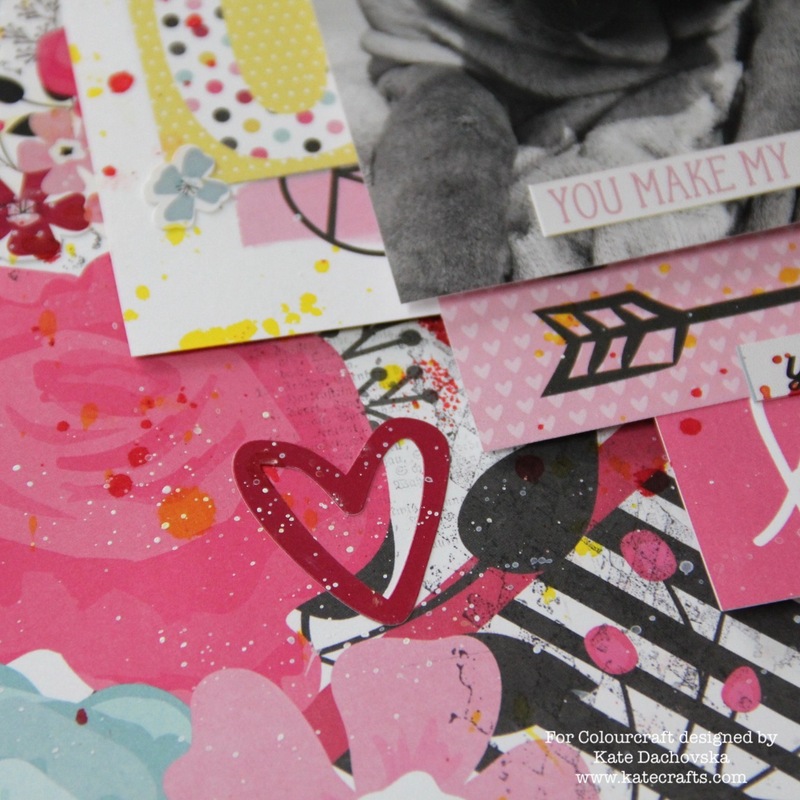 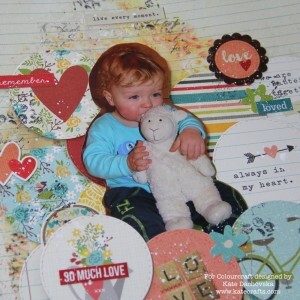 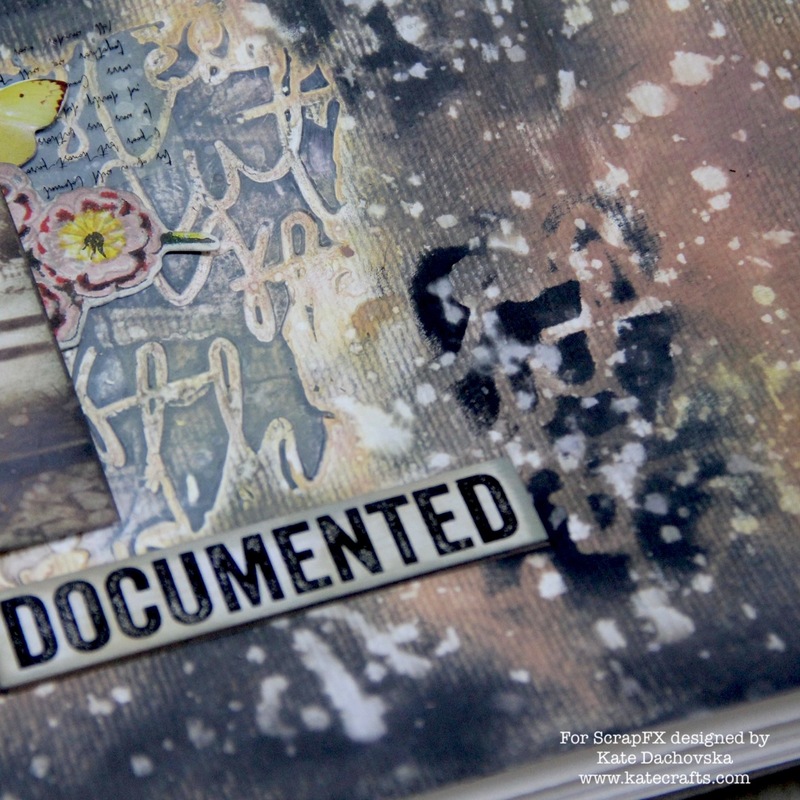 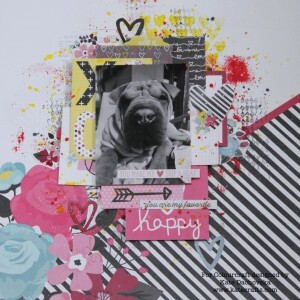 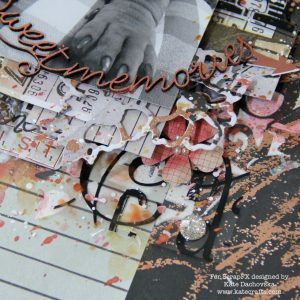 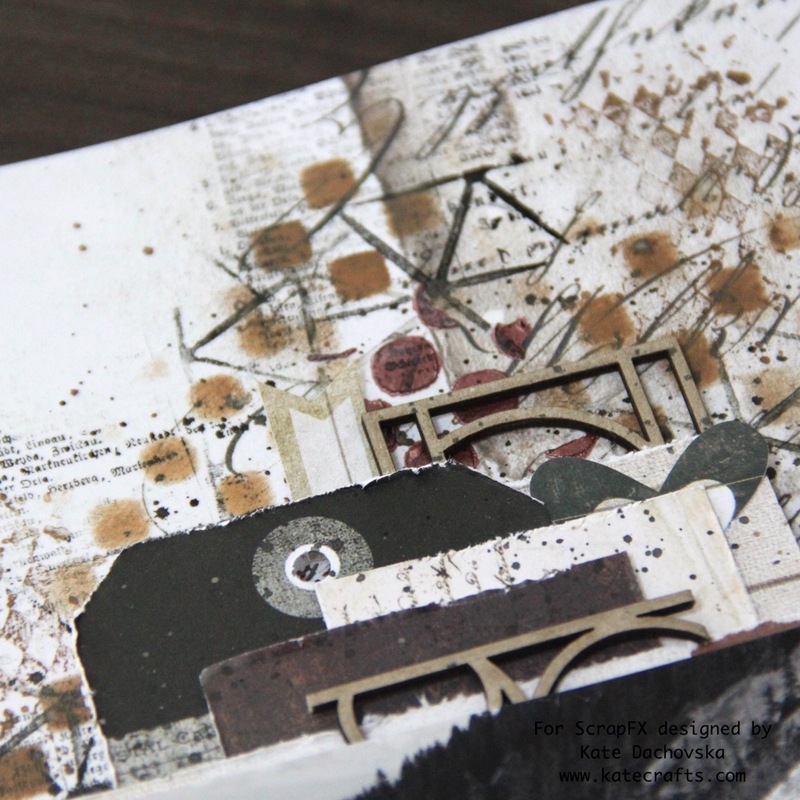 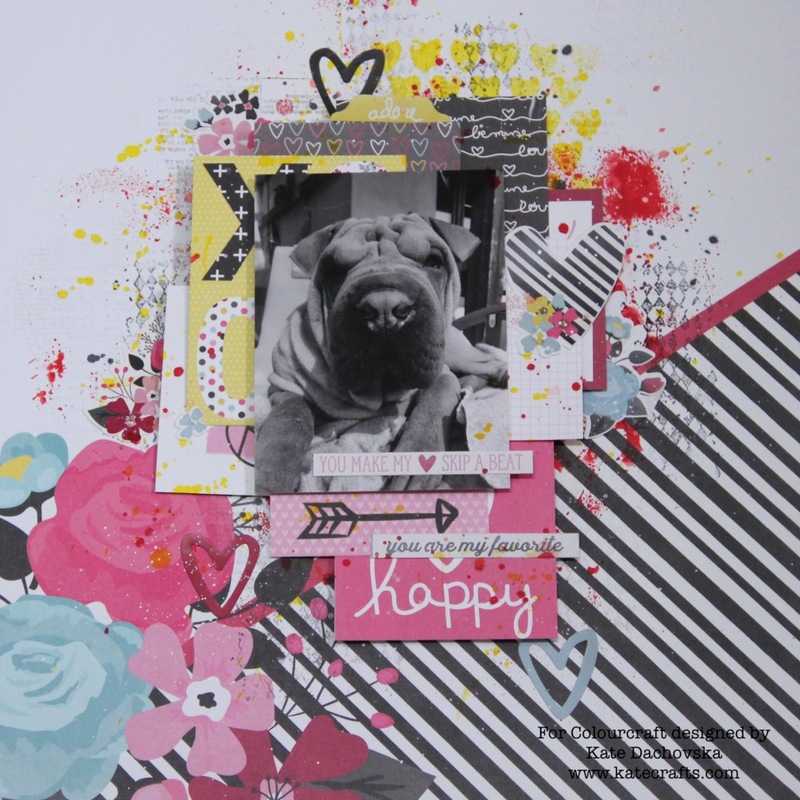 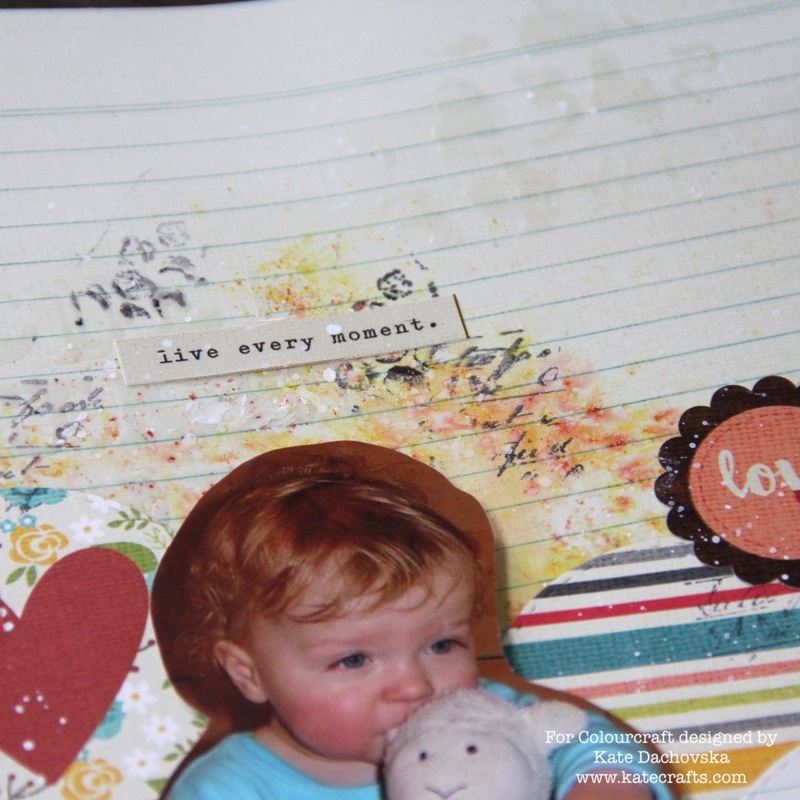 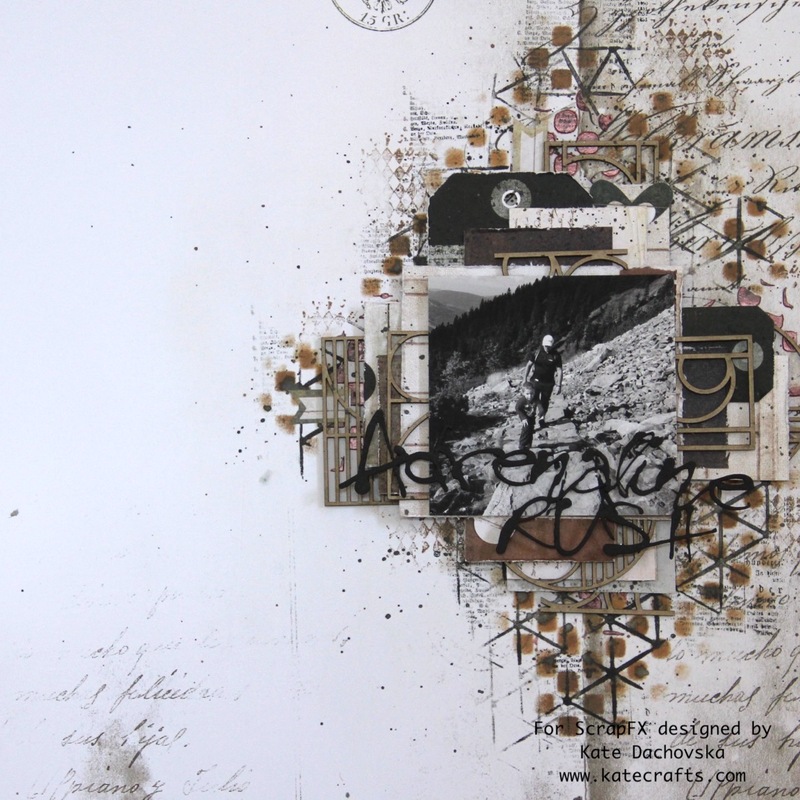 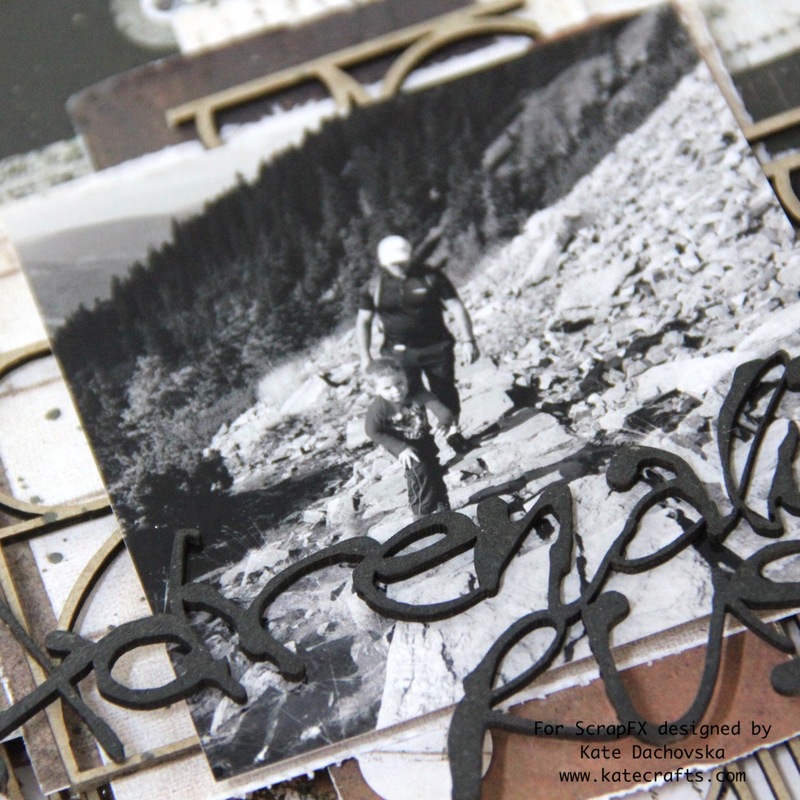 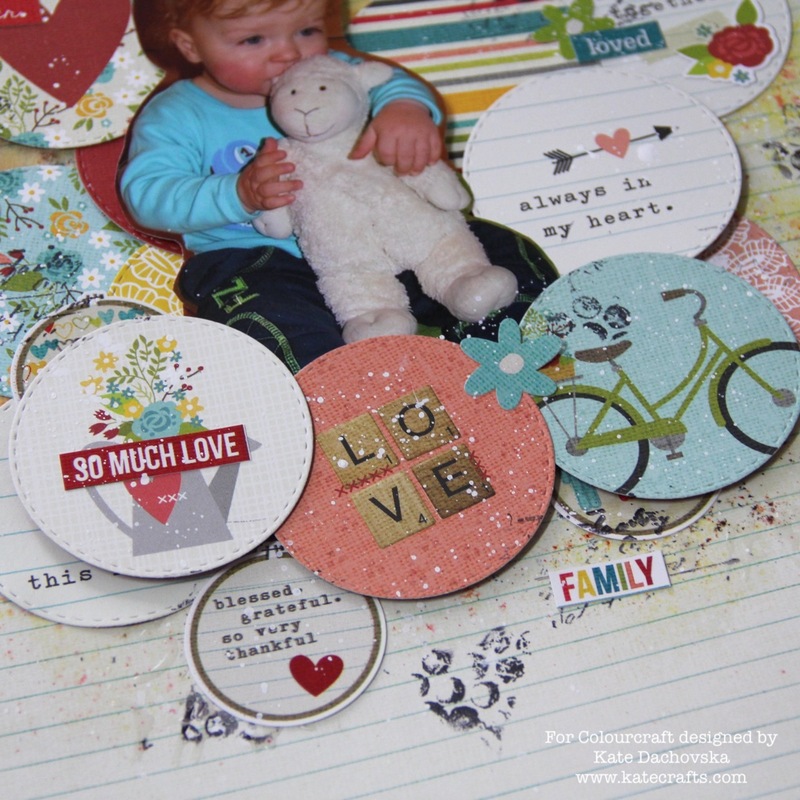 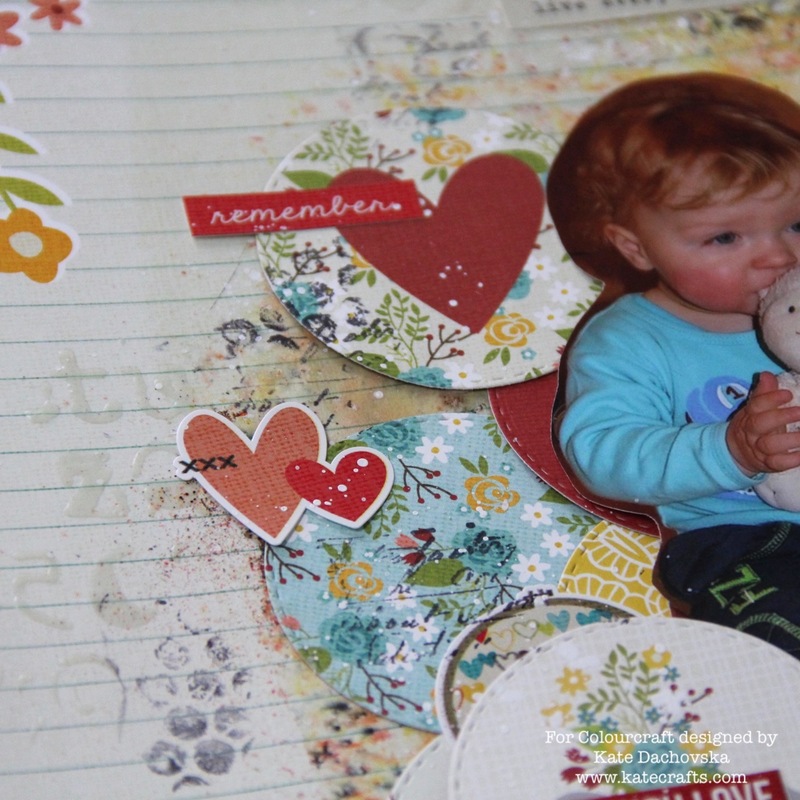 One mixed media layout and simple cards. 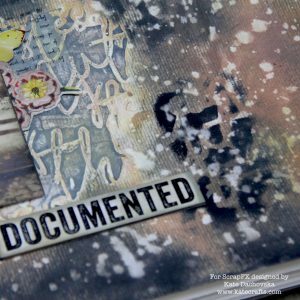 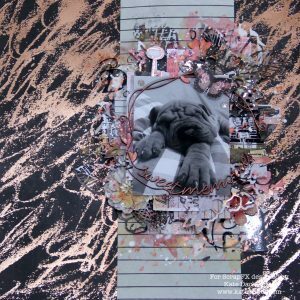 Layout is quite simple – at background I used stencil with Nuvou mousse which is very interesting creamy paste, than I applied black and brown Distress oxide inks through the same stencil. 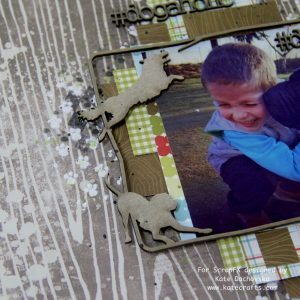 I made some stamping. 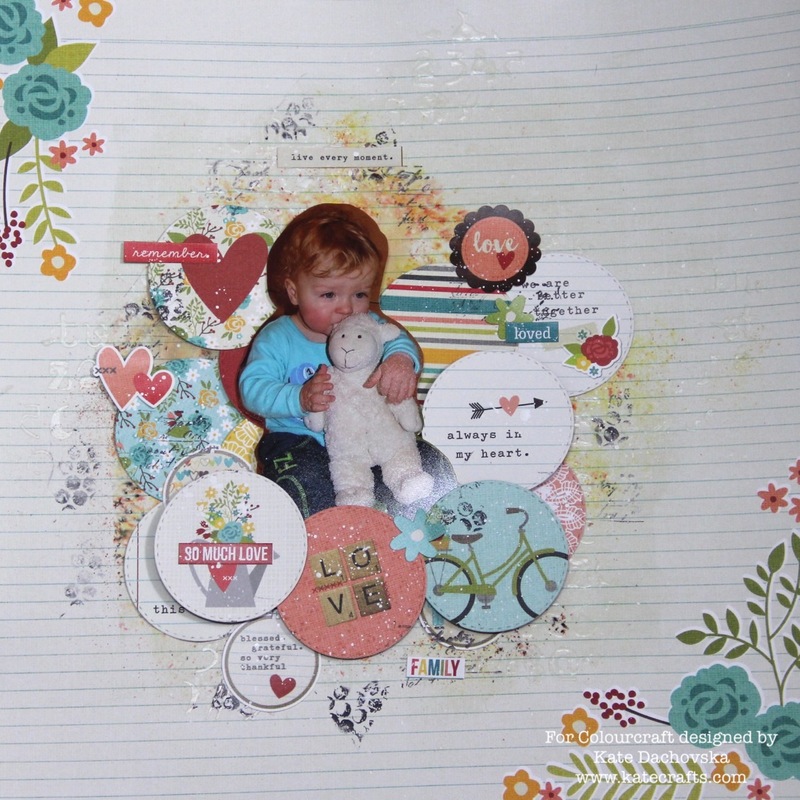 I build cluster behind photo, glued everything together and made splatters. 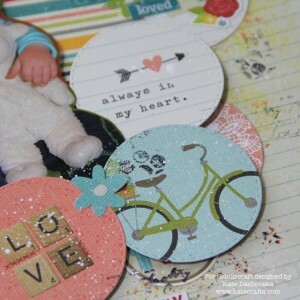 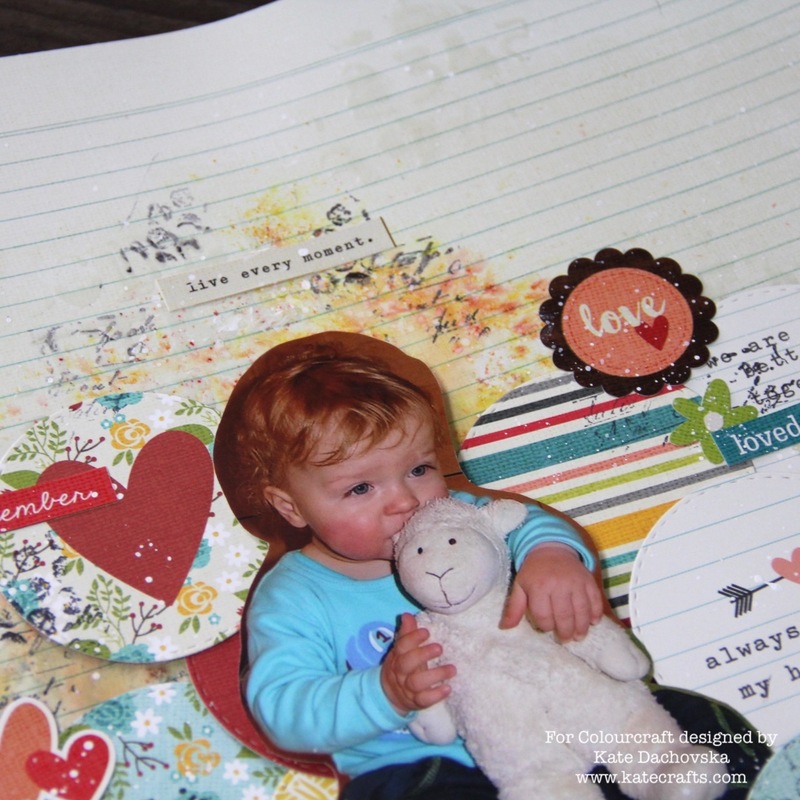 Sentiment is coloured also with Distress oxide ink. 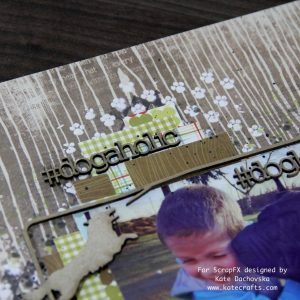 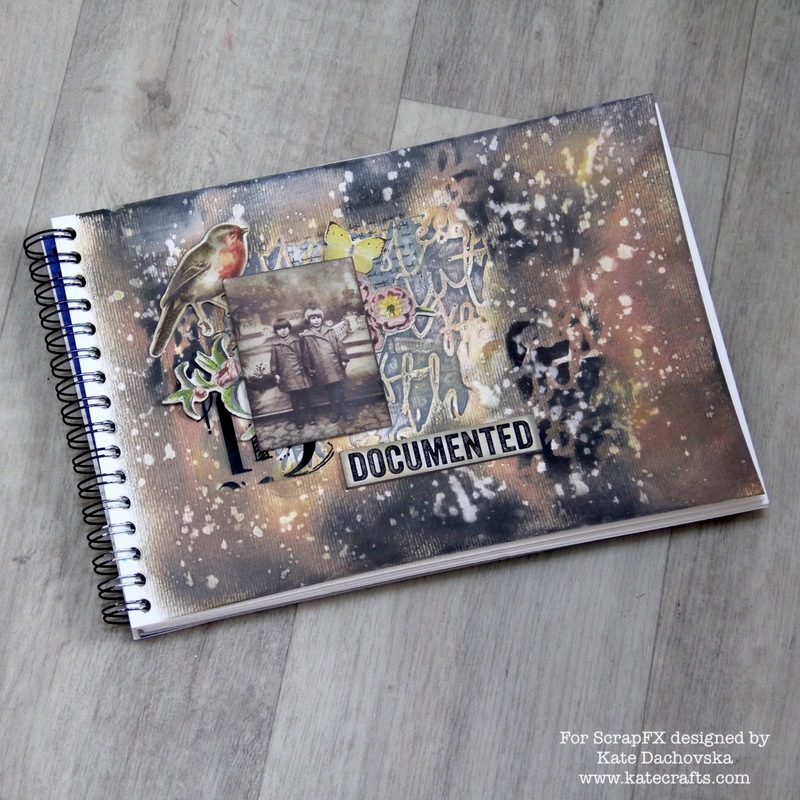 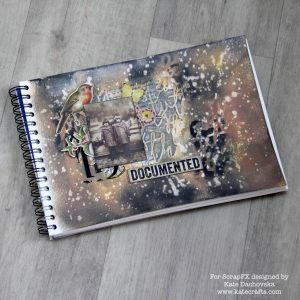 For layout you do not need to have tons of material just take what you have at home, add some nice chipboards and you have it! 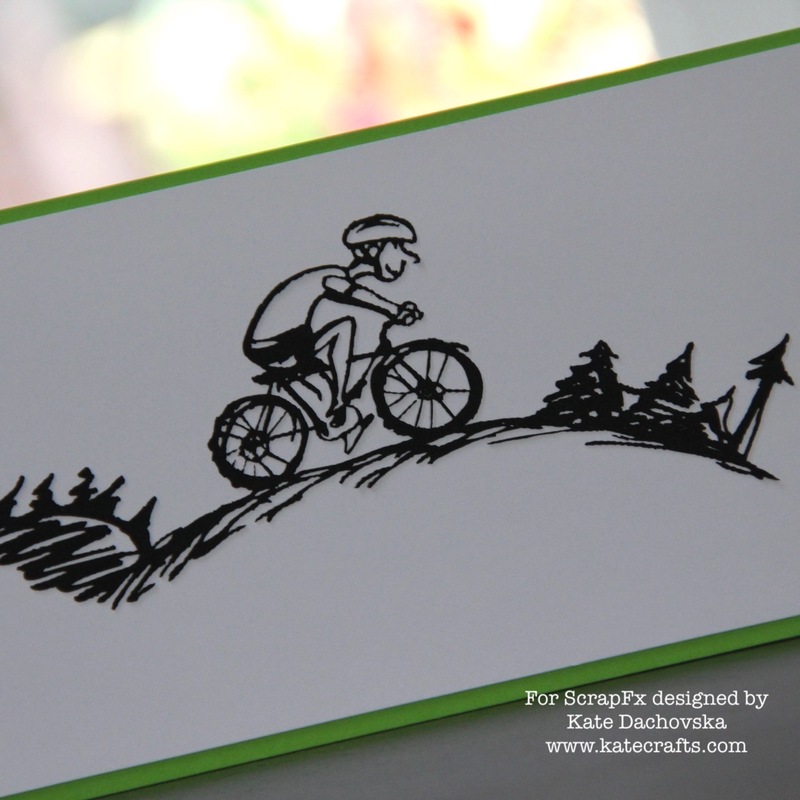 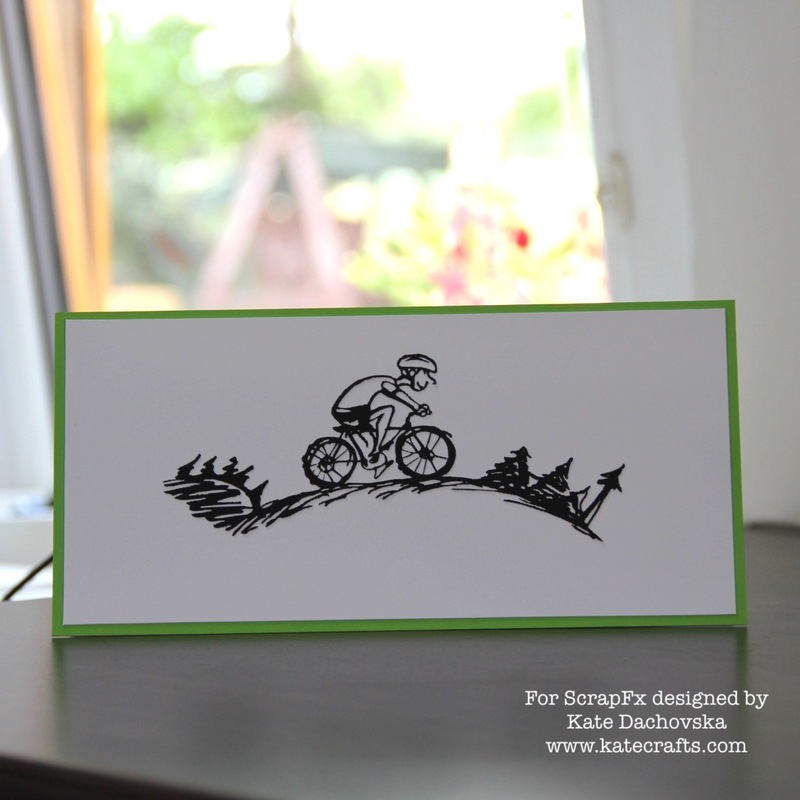 Cards are super simple, the first one is long rectangle card when main focal point is funny sportsman at bicycle. 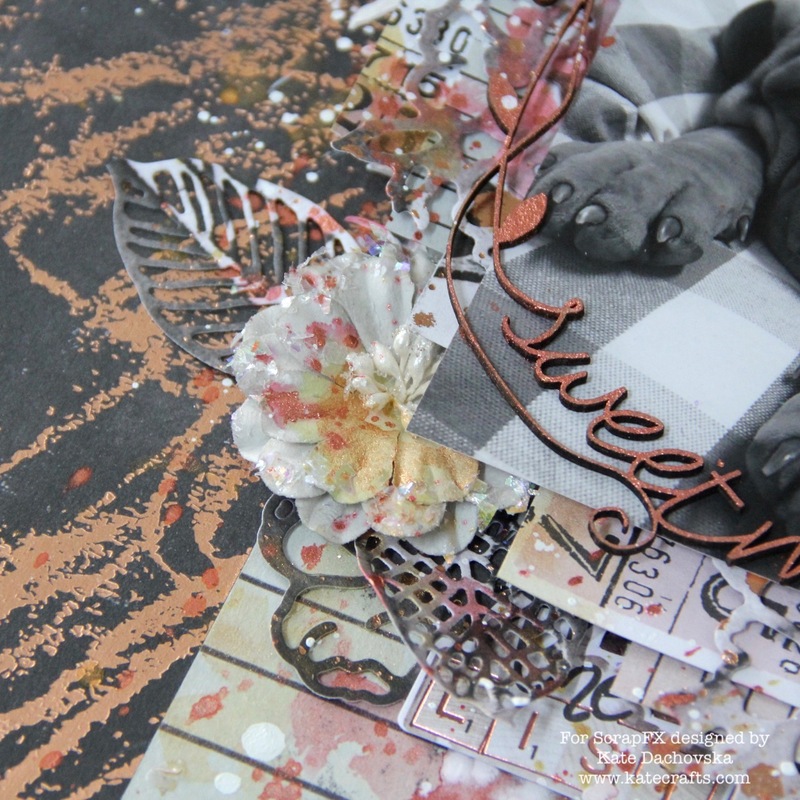 Second one is more decorative and focal point is there transparency image.